The contest will be judged by David Blair. 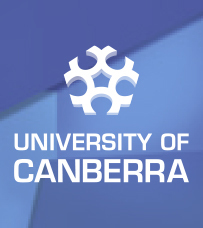 The University of Canberra Vice-Chancellor’s International Poetry Prize has been offered annually since 2014. On behalf of the University, this is administered by the International Poetry Studies Institute (IPSI), part of the Centre for Creative and Cultural Research in the Faculty of Arts and Design. The prize celebrates the enduring significance of poetry to cultures everywhere in the world, and its ongoing and often seminal importance to world literatures. It marks the University of Canberra’s commitment to creativity and imagination in all that it does, and builds on the work of the International Poetry Studies Institute in identifying poetry as a highly resilient and sophisticated human activity. It also builds on the activities of the Centre for Creative and Cultural Research, which conducts wide-ranging research into human creativity and culture. The 2017 prize will be announced in September 2017 and prize winners and short-list will be notified prior to that. Each entry of a poem will cost AUD$15 if submitted by 11:59pm GMT, 28 February 2017 and AUD$20 if submitted between 1 March and 30 June 2017. There are discounts for students. Young Poets Network has teamed up with the National Maritime Museum, Greenwich, to present you with a challenge to write about the changing face of the Polar Regions. Open to poets aged 25 and under, from all over the world. You can send a page poem written down, or a performance poem as a video or as an audio file. Send as many poems as you like. If you are sending a written version of your poem, please include it in the body of an email. If you are sending a video or audio file, please attach it to the email (making sure it’s no bigger than 4MB or it won’t come through) or send us a link to where we can see/hear it. Send your poems to educationadmin@poetrysociety.org.ukwith your name, age & address. By entering, you give permission for Young Poets Network and The Maritime Museum to reproduce your poem in print and online, though copyright remains with you. The deadline is Sunday 30 June 2017 (U.K. time). 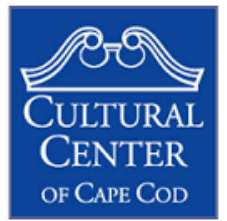 The Cultural Center of Cape Cod will award a National Prize of $1000 for a single, unpublished poem that has not won 1st prize in any national competition. Open to all U.S. residents 18 years & older. 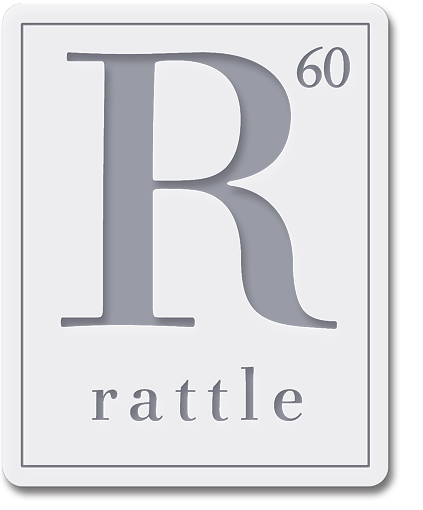 A Regional Prize of $250 will be awarded for a single, unpublished poem (that has not won 1st prize in any national competition) by an adult resident of Cape Cod, Nantucket, or Martha’s Vineyard. All Cape and Islands poets are also eligible for the National Award. A committee will judge. Submit up to three poems of any style or subject totaling no more than five pages with an entry fee of $15 by June 19, 2017 (postmark). All entries should be typewritten on plain, white paper. The poet’s name should not appear on any page except the cover page, which should include name, address, phone number, and email address, the titles of the poems submitted, and a brief bio. Simultaneous submissions are permitted, but please notify immediately if submissions are accepted for publication elsewhere. Winners will be notified and their names posted on the Cultural Center’s web site by September 2017. No other notification will be made. 2016 National Winner of the Cultural Center poetry Competition is Angela Patten, of Burlington, Vermont, for Tracks. 2016 Regional Winner is Carole A. Stasiowski of Cotuit, Massachusetts, for Why the Cat Has Not Died. National winner Angela Patten is the author of three poetry collections, In Praise of Usefulness (Wind Ridge Books), Reliquaries and Still Listening (both from Salmon Poetry, Ireland), and a prose memoir, High Tea at a Low Table (Wind Ridge Books). 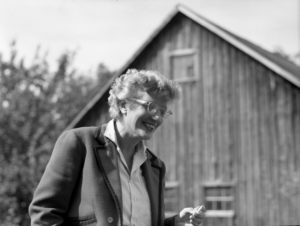 Born and raised in Dublin, Ireland, Patten now lives in Burlington, Vermont, where she teaches literature and creative writing at the University of Vermont. like bird-feet walking up my arm. in my wrist like needle-tracks? The Akron Series in Poetry was founded to bring to the public writers who speak in original and compelling voices. 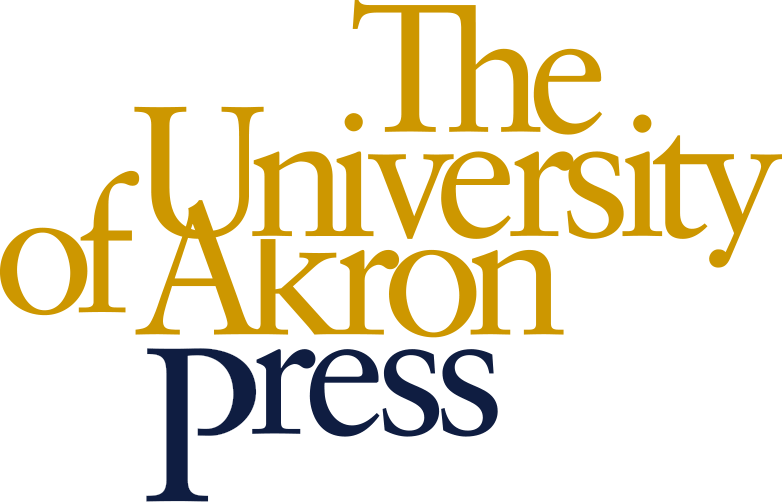 Each year, The University of Akron Press offers the Akron Poetry Prize, a competition open to all poets writing in English. The winning poet receives $1,500 and publication of his, her, or their book. The final selection will be made by a nationally prominent poet. The final judge for 2017 is Oliver de la Paz. Other manuscripts may also be considered for publication in the series. 1. Manuscripts must be a total length of at least 48 pages and no longer than 90 pages. Individual poems may have appeared in chapbooks or literary magazines, but we are unable to consider collections that have been previously published as a full-length volume. Translations are not eligible. 2. Manuscripts must not include identifying information, but should have a title page, and may include an acknowledgments page listing poems previously published in periodicals (if applicable). Please do not submit manuscripts that have the author’s name on each page, or any biographical information. Manuscripts will go to the judge without identifying information. Be sure that your Submittable account reflects your updated contact information, as we will use this information when contacting you. 3. Manuscripts will be accepted via Submittable between April 15 and June 15 of each year. Simultaneous submissions are permitted, but The University of Akron Press must be notified immediately if the manuscript is accepted elsewhere. Multiple submissions are accepted. 4. An entry fee of $25 is required for each manuscript submission, and will be collected through Submittable. 5. Contest results will be posted on our website www.uakron.edu/uapress/poetryprizewinner by September 30. Questions may be sent to uapress@uakron.edu. 6. Intimate friends, relatives, current and former students of the final judge (students in an academic, degree-conferring program or its equivalent), and current faculty, staff, students, and alumni of the University of Akron or the Northeast Ohio MFA Program (NEOMFA) are not eligible to enter the Akron Poetry Prize competition. Oliver de la Paz is the author of four collections of poetry: Names Above Houses, Furious Lullaby, Requiem for the Orchard, and Post Subject: A Fable. He also co-edited A Face to Meet the Faces: An Anthology of Contemporary Persona Poetry. A founding member, Oliver serves as the co-chair of the Kundiman advisory board. Additionally he serves on the Executive Board of Trustees for the Association of Writers & Writing Programs. His work has been published or is forthcoming in journals such as American Poetry Review, Tin House, The Southern Review, and Poetry Northwest. He teaches at the College of the Holy Cross and in the Low-Residency MFA Program at PLU. Endowed under the wills of Louise Louis Whitbread and Ruth M. Bourne, this prize is awarded for the best unpublished poem by a student in grades 9 through 12 from the United States. Teachers or administrators may submit an unlimited number of their students’ poems, one submission per student. • You can only submit one entry per student. • A poem that has previously won a PSA Award cannot be re-submitted. • No previously published work can be submitted. • Poems by more than one author will not be accepted. • Entry should have one cover page and two collated copies of your poem. Your name should not appear anywhere else besides this cover sheet. Cover Sheet Template: It’s not a requirement, but you might find it helpful to use our cover sheet template. High school students may send single entries to the Louise Louis/Emily F. Bourne Student Poetry Award for the fee of $5. High school teachers or administrators may submit an unlimited number of their students’ poems (one submission per student) for a $20 entry fee. You do not need to be a member of the Poetry Society of America to submit to this award. Checks should be made payable to the Poetry Society of America. The Writers Theatre of New Jersey is launching a brand-new NJ Youth Poet Laureate program! High school students from all over the state can enter by submitting five poems via our online form, found here, under the “Prepare the Submission” tab. Four of the poems can be on any subject at all, but the fifth poem must be a “poem of place;” a poem of place is a poem that describes, whether literally or metaphorically, where the poet lives. The poems can be in any style of poetry, including rap or spoken word (though they must be submitted in written form), and can be new works created just for the contest or existing poems the poet has written. Prizes include a Governor’s Award, opportunities for the poets to read their work throughout the state, and the publication of the poems in an anthology, so reach out to the high school poets in your life and make sure they get their poems in before that deadline. Only a few weeks to go! For more information on the program, go to the NJYPL page here: Deadline: October 24, 2016 . Extended to December 1, 2016. 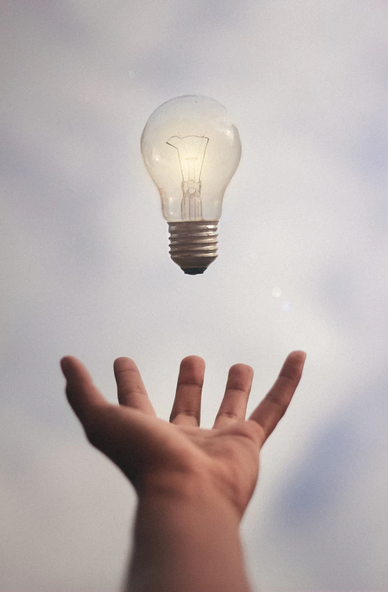 Cicada Magazine challenges writers ages 14-23 to answer their Call for Creative Endeavors Contest with poems on the theme of “flux.” Entries accepted via Submittable. Deadline: 9/30/16. FLUX: More often than we’d like, we find ourselves in one of those in-between spots in which nothing is certain, everything is uncomfortable and weird, and just when you get used to one thing, it changes again. In poetry or art, talk about the frustration (inspiration?) that comes with being in a state of flux. Visit cicadamag.com/submitwork for more info. Favorite writers, YA and otherwise: Sarah McCarry, Nnedi Okorafor, Sherman Alexie, David Levithan, Daniel Jose Older, Holly Black, Kelly Link, Chimamanda Ngozi Adichie, Ntozake Shange, Anne Carson, Jacqueline Woodson, ZZ Packer, Angela Nissel, Sofia Samatar, Malory Ortberg, Saeed Jones, Octavia Butler, Andrea Gibson. The Barthelme Prize for Short Prose is open to pieces of prose poetry, flash fiction, and micro-essays of 500 words or fewer. Established in 2008, the contest awards its winner $1,000 and publication in the journal. The Gulf Coast Prize will offer two honorable mentions of $250, and all entries will be considered for paid publication on our website as Online Exclusives. To view last year’s winner and honorable mentions, you can purchase issue 28.2 here. Contest judge Jim Shepard has written seven novels, including The Book of Aron, published in 2015, which won the Sophie Brody Medal for Excellence in Jewish Literature and the PEN/New England Award for Fiction. Deadline: August 31, 2016 at 11:59 CST. An Indiana Review Prize, aka the “1/2 K” prize of $1,000 and publication in Indiana Review is given annually for a poem or a work of flash fiction or nonfiction of up to 500 words. Aimee Nezhukumatathil will judge. Submit up to three poems or pieces of fiction or nonfiction of up to 500 words each with a $20 entry fee, which includes a subscription to Indiana Review, by August 15. All entries are considered for publication. Visit the website for complete guidelines: https://indianareview.org/contests/. The Emerging Voices Fellowship is a literary mentorship that aims to provide new writers who are isolated from the literary establishment with the tools, skills, and knowledge they need to launch a professional writing career. Seven months of guidance from a professional mentor and written notes on their current writing project. An author photo and bio. A logline—the short summation of the project in progress. A clear action plan for finishing this project. Writing life, and craft tips, from notable visiting authors. An editing guide from a professional copy editor. Insider knowledge of publishing from agents, editors, etc. An individualized submission guide for literary journals, agents, residencies, and fellowships. Improved reading technique from a professional voice coach. Public reading experience for a variety of audiences. An understanding of how to be an effective workshop member. Lifetime membership in PEN Center USA. An introduction to the Los Angeles literary community. Sponsored by the Poetry Society, the Foyle Young Poets Award is the UK’s largest poetry competition for students age 11 – 17 throughout the world. This international competition is free to enter. 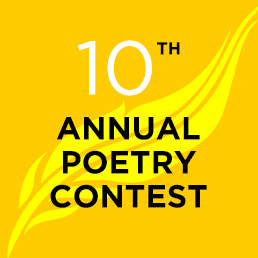 Individuals may submit more than one poem, however the contest judges strongly advise that you concentrate on drafting and redrafting your poems and send only a small selection of your very best (no more than 6-8 maximum). Remember, quality is more important than quantity! See Full Rules. Deadline: July 31, 2016.